Any small business seeking health insurance will have a plethora of choices to make and forms to fill out in order to provide suitable coverage for their employees. 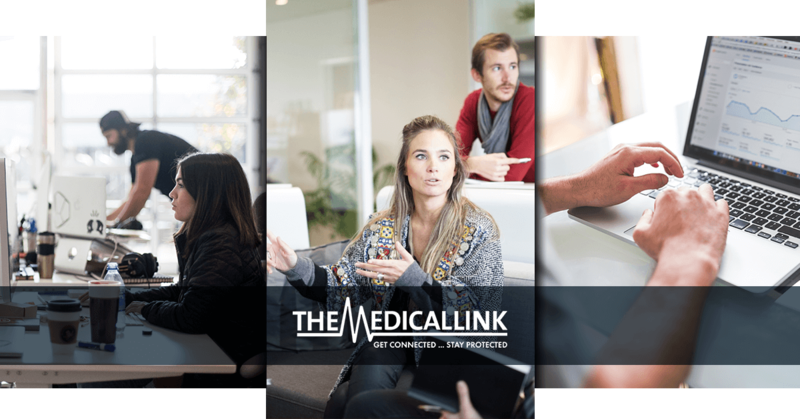 The Medical Link is a professional employer organization (PEO) in New York that provides optimal administrative support services in order to streamline your operations. This way, you can focus on the other important aspects of your business. PEOs are handy for benefits that are often reserved for Fortune 500 companies. Our PEO insurance options provide a wide range of benefits for your small business. Today, we’ll look at the different options you have when shopping for employee health insurance. When you integrate your operations through The Medical Link, you’re establishing the groundwork for long-term success! Many entrepreneurs decide to appropriate their company’s health insurance program on their own. In this phase, you as the boss will research and shop the marketplace to find a provider. The adage of “if you want something done right, you need to do it yourself” doesn’t tend to add up in this type of industry, though. Seeking the best price for your company may not work, and the insurance company can often be to blame. Major changes in the health insurance industry have also made shopping for a plan more complicated than ever before. The time demands for this process are also not attractive for new businesses, where there is already plenty to focus on. If you are looking to find a suitable plan for your unique business, it may be wise to seek out professional help. Hiring on outside expert can help to streamline much of the complicated process that will bog down your insurance process. Health insurance brokers are knowledgeable in this area and can offer their advice on the best approach to take, whether a self-funded plan or major carrier is right for you. Brokers work with multiple providers, giving them the advantage of being able to shop around in order to find a good match. It’s important to note that brokers work on commission, encouraging them to find you an insurance company. While this may sound positive, we want to mention that commission means that they are paid on their ability to bring you to a health care provider. Entrepreneurs who use a broker need to ensure that their agent is working on their best interests over making the maximum amount of money! Professional employer organizations specialize in bringing more to the table. Brokers have a vast array of choices while our New York PEO company only offers a few choices. While this sounds like a complete drawback, it’s important to note that we work fully with our partnered companies to provide the best services possible. Combining personnel with a PEO also brings the benefits of a larger company, causing the coverage rates from the insurance company to drop. Why? Because insurance companies make their offers based on successful outcomes, where tiny businesses can go under at the snap of a thumb. Additionally, insurance works with a pay-in and take-out system, where premiums are paid by every employee to help cover expenses if one or two become ill. If there are few workers to charge a premium, the chances of a higher percentage people becoming sick at the same time go up. Many companies offer higher rates to these small businesses to offset the higher risks. If you sign up for PEO HR services, you are effectively sharing employees. When a PEO is on your side, their ability to save premium costs magnifies. The costs of our services may worry some potential buyers, but it’s important to note that the monthly cost per employee can be easily offset by the savings of our PEO insurance. It’s important to speak with a PEO specialist to determine the total cost-benefit ratio of utilizing our services. The Medical Link utilizes professional PEO services to streamline operations and make life easier for small businesses. One area of expertise that we excel in is the act of finding and supplying the right insurance for your company. Proper health benefits can make or break any business, so it is vitally important to invest in the best. We strive to provide all of the Fortune 500 benefits without the ever-rising nature of insurance premiums. 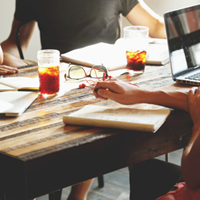 Contact us today to see if you can benefit from a PEO for your New York company!